Your wedding menu is an integral part of our celebration and we've got the caterers who can handle the task. Here, you'll find the best teams in town to deliver an evening of the finest Lowcountry cuisine. 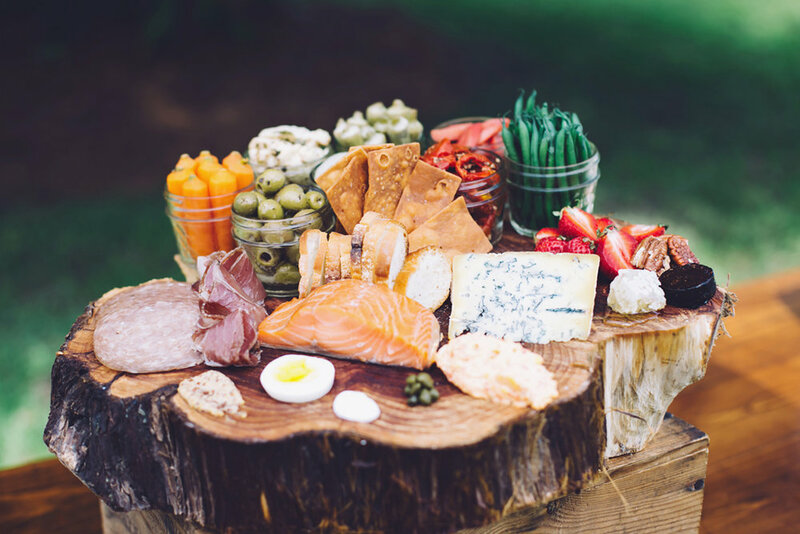 Check out the best Charleston wedding caterers in South Carolina who take pride in their craft while showing your guests what true Southern hospitality means. Farm fresh full-service catering for the Charleston South Carolina Lowcountry and beyond. Chef-driven, seasonal and local cuisine artfully presented for a variety of occasions. From elegant passed hors d’oeuvres and plated dinners to comforting family style or station style service allow us to create a menu that reflects who you are and what you love. Salthouse caters the parties you want to attend! At Cru Catering, we understand the work that goes into planning an event, and making it a unique, one-of-a-kind experience for all of your guests. We feel that your menu should reflect those efforts. Using only the freshest ingredients available, Cru’s culinary experts and Catering Directors work together to design a menu that embodies the personality of your event. From intimate dinners with a personal chef to large scale meetings, receptions, private parties, or extravagant galas; Cru Catering offers fully tailored services with a classic touch for any occasion. Good Food Catering offers fine catered cuisine, with restaurant quality style and service, in a variety of settings. Invite our experienced team to tailor your event at our exclusive waterfront venue, The Historic Rice Mill, or any other Lowcountry venue. Banner image via Aaron and Jillian Photography via Kenly & Steve's Lowndes Grove Plantation wedding.